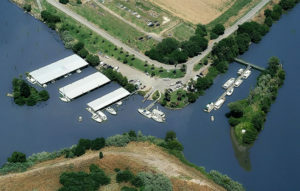 Arrowhead Harbor is located on the beautiful California Delta region. This area is a unique fresh-water river system has been a favorite for boaters, fishing enthusiasts, and waterskiers for decades. With over a thousand miles of interconnected waterways, you can explore the region for a long time and never see it all! The Delta water levels are unaffected by seasonal rainfall, so it’s excellent for boating all year around. Come to Arrowhead Harbor and experience the true beauty of the California Delta.